ean-Louis Dumonet is the Executive Chef of The Union Club in New York City. 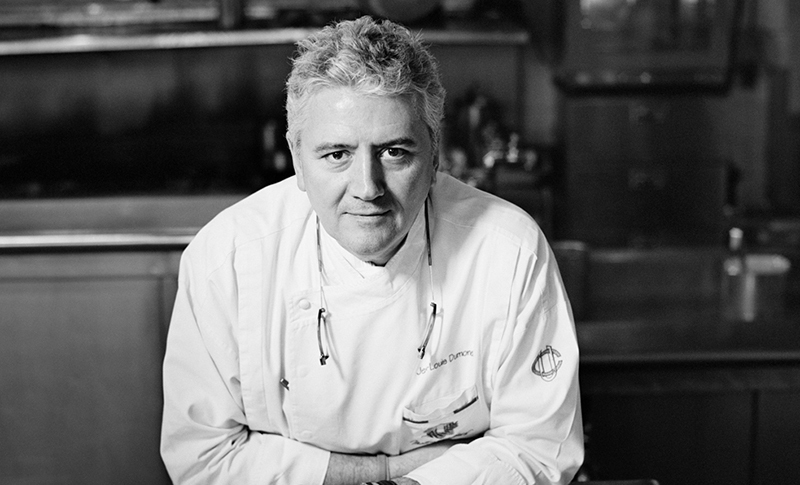 Born and raised in France, Jean-Louis grew up in a family of restaurateurs. His parents owned and operated two adjacent bistros in Paris, Josephine and La Rotisserie. Jean-Louis started cooking at age 14 and completed his formal training at l'Ecole Hotelière Jean Drouant in Paris, where he met his wife, Karen. For his one-year compulsory military service, Jean-Louis was assigned to cook for the Prime Minister of France at the Hôtel Matignon, the Prime Minister’s official residence. Then he continued to build his experience at the three-star Le Vivarois in Paris, at the Gleneagles Hotel in Scotland, and as chef de cuisine at Josephine. In 1983 Dumonet received the much-coveted opportunity to work as chef for Louis Outhier at his three-star L'Oasis in La Napoule. During this period Dumonet was also representative chef for Outhier at his restaurant operations in Bangkok and London. For four years (1987-91), Dumonet operated his and his wife’s own restaurant, “Restaurant Jean-Louis Dumonet”, in Chateauroux, France, enjoying the freedom to explore and define his ideas. By 1988 the Restaurant was featured in all French Guide Books praising the culinary talents of the 27 year-old Chef. That same year, he and Karen were also invited to join the “Jeunes Restaurateurs de France”. By 1991, he had already distinguished himself as one of France's rising culinary talents, before he decided to take on New York and two partners. Trois Jean Bistro was born in July 1992. “Breathtakingly good" (The New York Times), "authentic" (Elle; William Grimes) and “extraordinary" (Zagat) were words typically used to describe Jean-Louis Dumonet's French cuisine at Trois Jean Bistro, his restaurant that was regularly acclaimed as "New York City's best bistro." Upon the sale of Trois Jean, in April 2000, he went to help Jean-Louis Palladin at “Palladin”, at the Time Hotel. Jean-Louis started his employment at The Carlyle on September 4th, 2001. Elegant and extremely refined, The Carlyle was looking for a new sense of direction for its’ Kitchen, and Dumonet fit the “niche”. He has been honored and trusted in the renaming of the main dining room at The Carlyle. It is to be called “Dumonet at The Carlyle”. In the Spring of 2003, the restaurant opened. Since then, it has been highly acclaimed by all the food press, with the New York Times awarding "dumonet at the Carlyle" 2 stars in its' Wednesday Review. Jean-Louis Dumonet started working at Saks Fifth Avenue, as its' Executive Chef in its' flagship store in New York City in April 2005. He later became the F&B Corporate Director as well. Since January 1st, 2008, Jean-Louis is the Executive chef of the oldest private social club of the US, The Union Club. 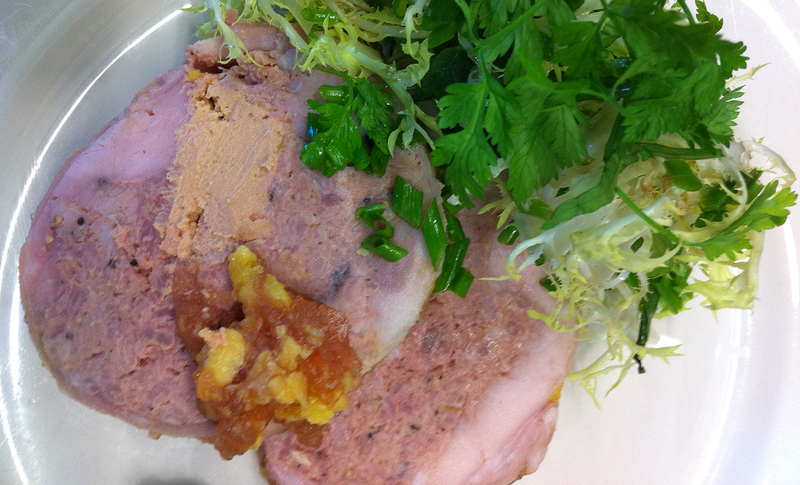 Jean-Louis is a member of the James Beard Foundation and has cooked at the James Beard House. In 1994 he was awarded the prestigious title of Maître Cuisinier de France. In 2010 he has been awarded by the French Minister of Agriculture l’Ordre du Merite Agricole, (National Order of Agricultural Merit). Its ribbon is Moiré pattern green with a red-orange stripe down each side - the stripes symbolize the prestigious institution of the ordre national de la Légion d’honneur. Chef Jean-Louis Dumonet's classic Rabbit and Foie Gras Ballotine recipe makes wonderful party fare and can be served with an herb salad for a light lunch.